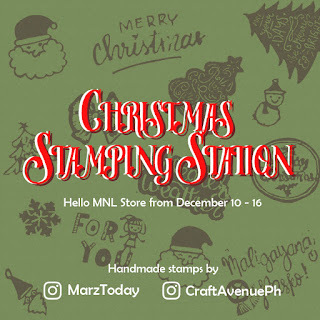 Personalize your purchases at Hello MNL Store at the Stamping Station with stamps by Craft Avenue PH & Marz Today. The station is free for use for Hello MNL Store customers from December 10 - 16, 2017. 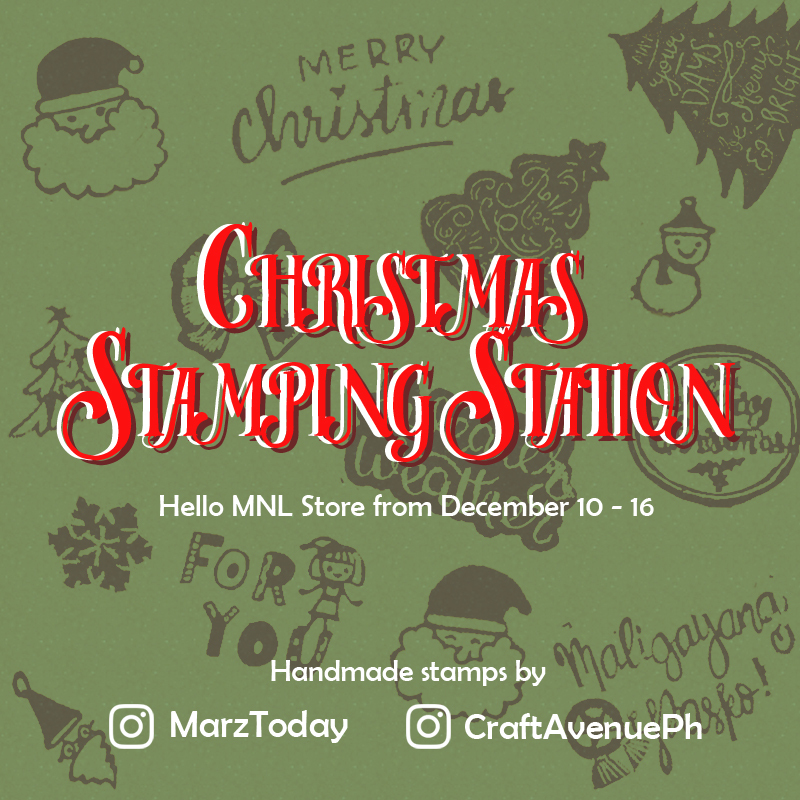 For the holiday season me and @CraftAvenuePH will have our stamps ready for you to use to decorate gift cards and tags or design any of your purchases from Hello MNL Store to gift to your friends from December 10 - 16, 2016. Drop by and stamp away! It's nice to meet makers who share similar struggles and be able to talk and compare notes on things you don't get to talk to with other folks as easily. 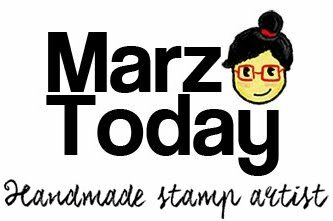 You may not know it but I really appreciate a fellow stamp maker. I finally met Lui of @craftavenueph. We talked about stamp making mostly, our experiences at fairs and how we both struggle juggling home-making / work with this side hustle. I hope guys enjoy the stamp spread we've prepared for you to use.